Flap closed. For this week, I wanted to go with a softer, almost vintage palette. The background color is a cheap acrylic paint - french vanilla. I received a number of items in Happy Mail that were perfect for this week as well. Looks great! Happy Anniversary to y'all!!! Happy Anniversary....ours was last week. Love the vintage feel to these pages. 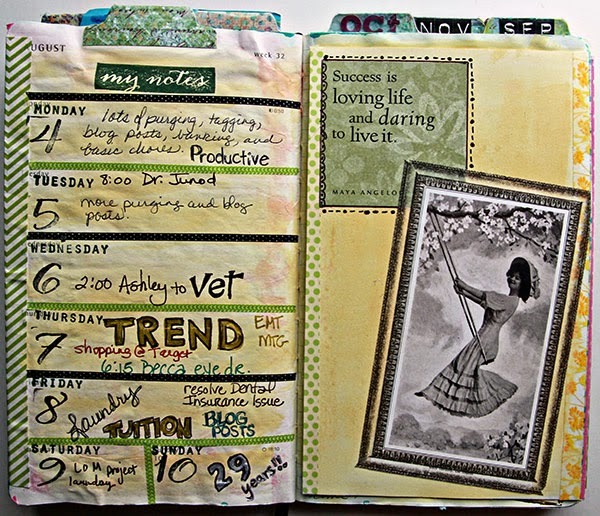 Your art journal is gorgeous. I might have to give it a try some time. Happy anniversary---ours is the 21st and will be 43 years for us! Happy Anniversary! Ours was late in July and #41, but we're holding off on celebrating until our rescheduled road trip in October. 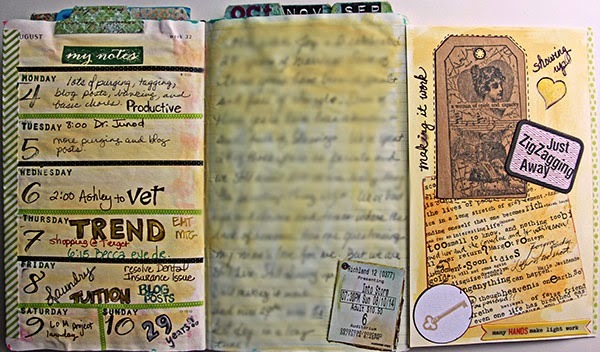 Love the journal pages. wow- this is quite the project. Happy Anniversary....it is my 35th(since first date...not wedding) this weekend!